Providing you the best range of AC Servo Drive such as Yaskawa Servopack, Panasonic AC Servo Drive, Mitsubishi Servo Drive, Fuji Servo Drive, Delta Servo Drive, Baldor (ABB) Servo Drive And Schneider Servo Drive with effective & timely delivery and after sales support. Panasonic has introduced new enhanced version A6 series which has advanced features than A5 series as given below. 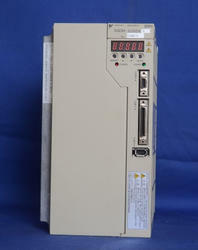 We offer a wide range of Fuji Servo drive. The Fuji drive evolves all market requirements. 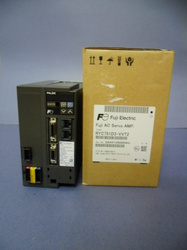 We have Faldic W Servo drive 1KW, 400W & 750W in stock. send your inquiry quickly. For any further information required, feel free to contact us. We will do our best help. We offer a wide range of Brushless Servo Drive which are manufactured under the guidance of highly skilled professionals.we provide brushless servo motor in the range of low inertia to high inertia. We are the manufacturer and supplier of Brushless AC Servo Drive which are manufactured by gooraw material.Delta servo system is a servo system which is based on Delta's strength in industrial and electronic technology . We are authorized sales & service provider for Yaskawa servo drives. 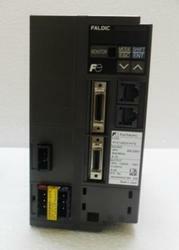 We offer a wide range of Yaskawa servo drive which is very unique due to it's specific features. we also support conversion to NEW version. 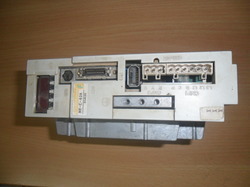 These servo drives are used for many applications. Are you looking for above series servo motors, feel free to contact us. 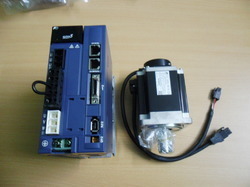 We are an suppliers of Mitsubishi Servo Drive. Mitsubishi Servo Drives are most compact in the market which offer a wide range of power, speed and inertia. 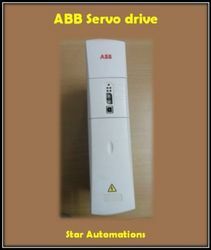 We have given some series of Mitsubishi servo drive we are deals. 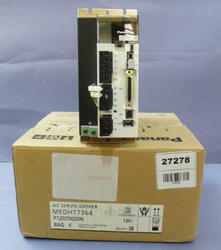 We have some refurbished servo drives. we are service & solutions provider. For any related information you need, feel free to contact us. Packaging Details: 1) Worth Packing 2) Based On Customer satisfaction. 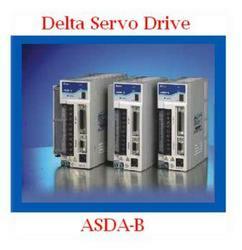 We offers wide range of Delta make servo drive as per the customer requirements. We are also a service, solutions provider & system integrator. If you are looking for Delta Servo Drivers, please contact us.We will do our best to help you find the Delta series Servo Drives that you are looking for at the most competitive prices possible. 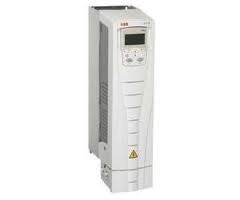 Star Automation is one of the leading suppliers for ABB servo drives. We can provide special price & solution providers and also support OEM. ABB standard drives can be used in a wide range of industries. MotiFlex e100 is part of the e100 real-time Ethernet POWERLINK solution from ABB. Highly configurable drive & motion control platform. 3 Phase 180-528 V AC (max) 50/60Hz.with DC bus energy sharing capability. Universal encoder interface supporting : incremental encoder, synchronous serial interface (SSI) EnDat 2.1/v2.2, 1V Sin/Cos and BiSS encoders , Absolute multi-turn encoders. Application: Pump, fan & conveyors. For any other information feel free to contact us. 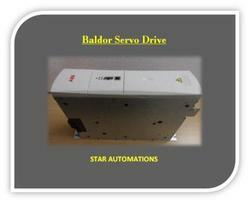 Star Automation is one of the leading suppliers for Baldor servo drive. For any other informations are you required, feel free to contact us. Star Automation is authorized supplier for Panasonic make Servo motors. Are you looking for price, feel free to contact our sales representative, they will help you to find your requirements. We are wholesales supplier for Panasonic Servo Systems. 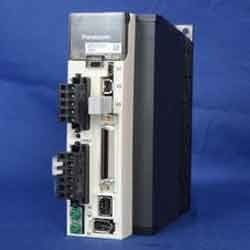 We offer Panasonic 2KW servo drive with competitive prices. If you are looking for Panasonic Servo Drive and motor, please call us .we will do our best to help you find the Panasonic servo drive with most competitive prices possibles. Feel free to contact us any time, we will do our best support at all times. Motor feedback is Software selectable encoder, SSI or Hall only. Below are some models we are offering. We are offering good quality Baldor micro flex drive affordable price. For any deal and queries feel free to contact any times. We will do our best support at all times. We are one of the Leading suppliers for Panasonic, Fuji, Yaskawa, Mitsubishi, Delta and ABB Automation Products in INDIA. We are giving competitive price possible. We exported our products to oversea markets. We offer very good price for our customer. For any deals. feel free to contact us. We are STAR AUTOMATIONS,INDIA. Doing sales and service for all kinds of industrial Automations products. We are dealing with yaskawa, Delta, Panasonic, Fuji, Danfoss and so on. We also providing service for all kinds of industrial automations products. We are doing encoder service, drive service, motor coil re-winding,PCB assembling. Are you searching for FUJI servo drive? Star Automations provides a solution. We are one among the leading supplier of Panasonic servo pack. We are also providing service for various industrial based products. 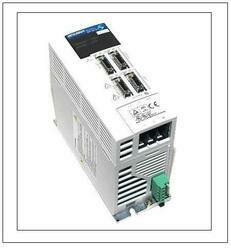 Panasonic Servo Drive is suitable for various industrial Applications. 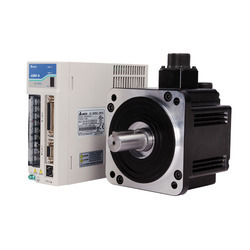 The Panasonic Servo Motor is available in various capacity and size based on various industrial applications. Packaging Details: 1) Worth Packing. 2) Based On Customer Satisfaction. 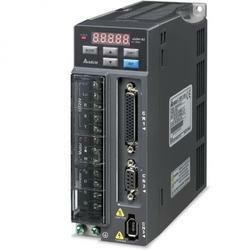 We are providing service for various industrial Automation products. We are shinning in this field more than two decade. We are the authorized service provider of Yaskawa. We are providing service for many products such as Delta, Yaskawa, Panasonic, Fuji, Danfoss, sanyo denki, Omron,Orien,Mitsubishi,Allen Bradley, KEB, KET, contraves drives ,Schneider Electric, Teco, Hitachi, Acopos and so on. Packaging Details: 1) Worth and original packing. 2) Based on Customer requirements. We are Star Automations, offering Panasonic servo Motor & Drive for various applications. These servo products are suitable for all kinds of industrial based applications. 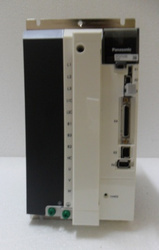 Panasonic servo is name for its high performance, reliability, accuracy, efficiency and so on. 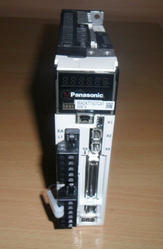 We are also providing service for Panasonic servo products. Our engineers are well trained and skilled in servo installations and programming for various applications. We successfully completed many projects on servo. 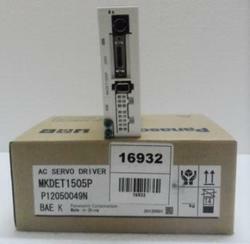 We are the leading suppliers of Fuji Servo Products and Drives. 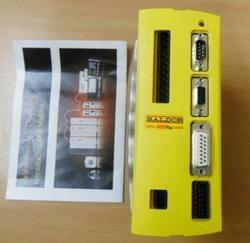 We are offering servo products for various range and applications. For any deatils feel free to contact us. We Provide Expert solution for Ac servo Amplifiers, servo controller, Motion controller, Axis controller, Robot controller. We are specialized in providing technical solutions and consultancy for Multi-brand servo products. 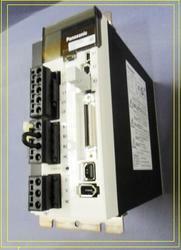 We have all series Mitsubishi servo amplifiers and servo motor. Our sales representatives can provide you with a pricing and availability quote for Mitsubishi servo Drives. If you do not have the part numbers for Mitsubishi servo amplifiers and motor, our application engineers will be able to help you find out the part numbers and get the offer to you ASAP. We also provide a servo amplifier service, repair, replace, rebuild, re manufacture, retrofit and overhaul all a servo amplifiers. Our major export and support countries are Singapore, Saudi Arabia, Bahrain, Kuwait, Dubai, Oman, Qatar, Abu Dhabi, Egypt, Sri Lanka, Bangladesh, Nepal, Thailand, Indonesia, Africa, German, USA and UK. Star Automation is authorized supplier for Delta servo drive & motor.We offer ASD-A0421LA refurbished servo drive, we are specialized in providing technical solutions and consultancy for these products. Condition: Refurbishment drive, fully test with Good Condition. If you have any other questions, please feel free to contact us in any time. Packaging Details: 1)Worth Packing 2)As per buyers requirement. Star Automations (SA) is an ISO 9001:2008 certified organization. .
We are one of the Global service providers in the field of Industrial, Commercial, Medical, Military and Communication Equipments. We are the authorized Service provider for many brands. We are specialized in providing service and maintenance for Servo Motors , Servo Drives, PLC, VFDs with an experience of 15 years. Packaging Details: As per buyers requirement. Star Automations is one of the leading servo drives and motors and motion controller Supplier in India. Specializes in development, manufacturing and sales of high-quality low-cost motion control products. Offering after sales and service support for Yaskawa servo pack, panasonic servo driver, delta servo drive, Baldor, Abb, Fanuc, Mitsubishi servo Amplifiers,Galil motion control, Bobry servo-electronic AG ,Advanced motion controls(A-M-C), Kollmorgen ,Fuji servo amplifier, Omron servodriver and Servo motors. We are specialized in providing technical solutions and consultancy for these products. MDS-A-SVJ, MDS,-B, MDS-C, MR-C, MR-E A/AG, Super, MR-J2 Junior, MR-J2, MR-J2 Super, MR-J3, MR-J3 A/B/T, MR-JN. If your servo drives, servo motor and Controller (any make) is obsolete? We Upgrades New series servo drives & servo motors and Exchange your old servo drive and motor with 18 months warranty. If you are looking for Servo Drive and motor, please call us. We will do our best to help you find the Servo Drives that you are looking for at the most competitive prices possible. We can provide service all over India and aboard. Our major export countries are: UAE, Saudi Arabia, Bahrain, kuwait,Oman,Sri Lanka, Bangladesh, Nepal, Thailand, Africa, and UK. We are offering PLC for various range and size based on Industrial Applications. 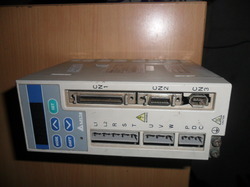 This Programmable controller is like a digital computer which is used for electromechanical process. 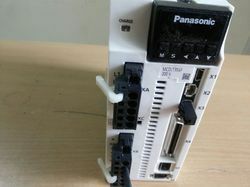 Normally PLC is design for multiple outputs and Inputs. These real time systems are available in various features based on the input ranges. 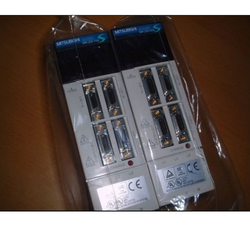 We also offering PLC installation and PLC service based on the customer requirements. 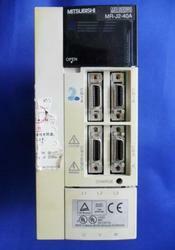 We are having many Delta PLC in stock. 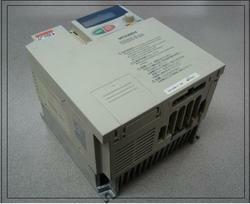 We are authorized sales provider for Panasonic Servo drive. Our ranges are: 50W to 5 KW. 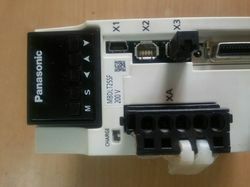 Are you looking for Panasonic servo drive, Please don't hesitate to contact us. Our sales representative will help you to find your requirements. We are from Star Automations, Doing sales and Service for all kinds of industrial Automations products. We are successfully shineing in this field for more than a decade. We are providing service for Yaskawa, Delta, Panasonic, Lenze, Fuji, Fanuc, Danfoss, ABB and so on. We are having well trained and skilled engineer. We are successfully completed many projects and having good name and fame in this industry. Looking for Servo Drive ?